The essential tactics for a win-win negotiation. The key differences between an average and a skilled negotiator. How to behave persuasively in a negotiation. How to prepare and plan in the shortest time for the maximum gain. How to transform individual skill into company-wide, corporate capability. 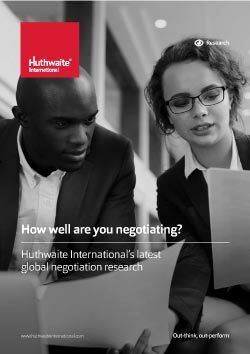 Essential reading for Sales leaders, L&D leaders, Heads of Procurement and anyone responsible for corporate negotiation performance.